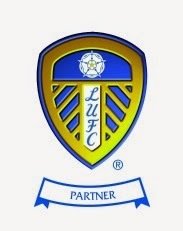 If you are a big Leeds United fan and travel to the games regularly, you will want to stay in the perfect hotel which is good value, offers excellent service and is near Elland Road. Bewley's Hotel Leeds is near Elland Road and is a short walk to the stadium. It is ideal for a pre or post match dinner or drink! There is ample car parking and most importantly an unreal atmosphere! Book your hotel near Elland Road Today! Bewleys Hotel Manchester Airport New Video!